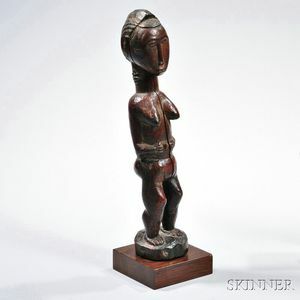 Baule Carved Wood Female Figure, with dark red-brown patina, ht. 13 in. Provenance: Collected by Major H. Frank during World War II. At the end of the war he was commanding officer at Sandau Prison, Germany.